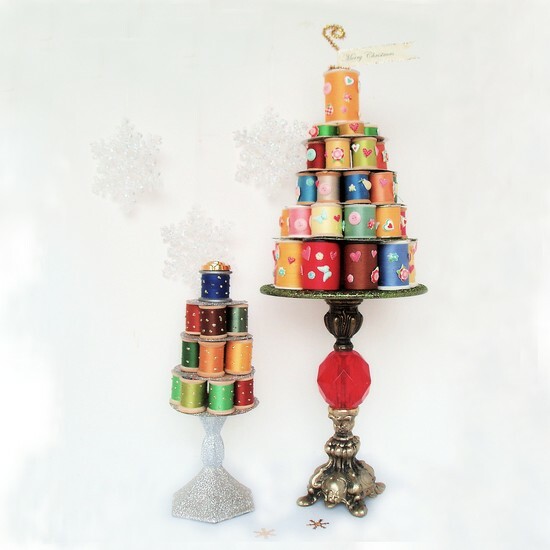 This is a fun and easy way to upcycle thread spools to make a OOAK Christmas décor. I just learned the term OOAK- did you know that it stood for One Of A Kind? So if this term is new to you too then today’s post is a twofer! Pop on over to the blog Whimziville for the tutorial on how to make a recycled thread spool Christmas tree.